Home>Article>THE TRIALS OF APOLLO: THE BURNING MAZE is out now! 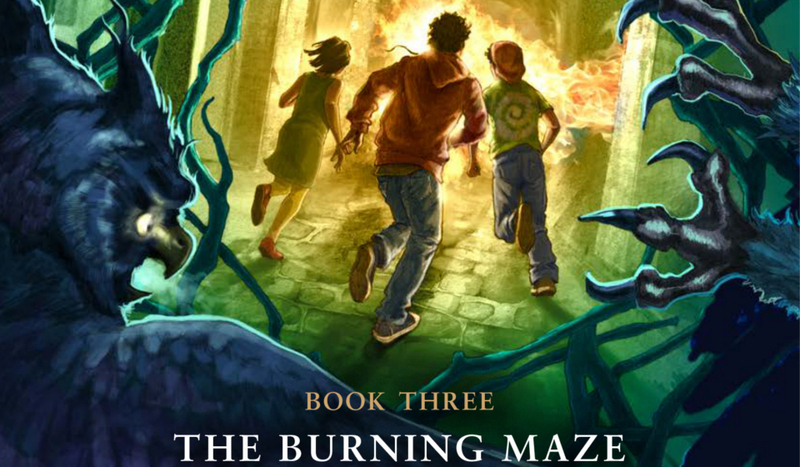 THE TRIALS OF APOLLO: THE BURNING MAZE is out now! On May 1st, the third installment of THE TRIALS OF APOLLO publishes. THE TRIALS OF APOLLO: THE BURNING MAZE is the next step in the god-turned-mortal Apollo's - now known as Lester Papadopoulos - journey to restore the five Oracles and redeem his slight against the god Zeus. THE TRIALS OF APOLLO follow Lester not only as he learns how, exactly, it feels to be mortal, but also on a journey through the world of demigods as Riordan has so expertly woven for readers since his first book, PERCY JACKSON AND THE LIGHTNING THIEF. Lester Papadopoulos is joined by his friend, a daughter of Demeter named Meg, and has to figure out why giant marble statues are coming to life and trying to wreak havoc on Camp Halfblood, and what it could mean for the fate of demigods and mortals everywhere.